This article includes modified files ready for the installation of Microsoft Bluetooth Stack on both x86 (32-bit) and x64 (64-bit) editions of Windows Server 2008. The know-hows of installing Microsoft Bluetooth Stack on Windows Server 2008 64-bit (and 32-bit) edition, in case of using it as a workstation, is spread on blogs everywhere, and Gil is behind the whole story. Note: Broadcom (Widcomm) files are not included in a fresh Windows’ File Repository. People who luckily find them in the Repository have definitely installed OEM BT drivers. For example, Lenovo Y710 OEM drivers include the latest Broadcom (Widcomm) Bluetooth driver version 6.0.1.5500 (08/31/2007), where Dell XPS M1330 OEM drivers include the older Broadcom (Widcomm) Bluetooth driver version 6.0.1.3100 (11/03/2006). I’ve collected all the files needed for both x86 and x64 systems separately, modified all the NTx86…1, NTia64…1, and NTamd64…1 sections into NTx86, NTia64, and NTamd64 in all INFs, and cabbed them into separate archives for both 32-bit and 64-bit editions. CAUTION! I double-checked, sometimes triple-checked everything, but please practice safe driver upgrade. Creating a System Restore Point (image backup is even safer) is highly recommended. Remember, at the end, you’re doing it at your own risk! Due to the fact that both Windows Vista / Windows Server 2008 don’t support Bluetooth headset profile, if you want to use a Bluetooth headset with your adapter, you’ll need to add the headset profile to the default Microsoft stack. Visit my headset blog entry to know more about installing and enabling Bluetooth headset profile in Windows Vista / Windows Server 2008. Install Boot Camp drivers. The driver will be installed, but it won’t be associated with the appropriate hardware. Open Device Manager, right click the Bluetooth USB Host Controller, and click Update Driver Software… menu item. Choose Browse my computer for driver software and then Let me pick from a list of device drivers on my computer. Choose Bluetooth Radios, then click Next. Uncheck Show compatible hardware, in the left select Apple Inc. and in the right Apple Built-in Bluetooth, then click Next. Answer Yes to the popped Update Driver Warning dialog. Wait for the driver to install and display Windows has successfully updated your driver software, and then click Close. Cancel all of the Found New Hardware dialogs. The Bluetooth icon will show up in the notification area. Apple Built-in Bluetooth is now listed under Bluetooth Radios, three Unknown devices under Other devices. Download and extract Microsoft Bluetooth Stack for Windows Server 2008 (x86/x64) CAB file in a specific folder, e.g. C:\BT. Right click the first Unknown device and click Update Driver Software… menu item. Choose Browse my computer for driver software and enter the path to the CAB extraction folder and click Next. Choose Install this driver software anyway in the Windows Security dialog shown. Wait for the driver to install, and then click Close. Do the same routine to install the other Unknown devices. Upon completion, Microsoft Bluetooth Enumerator will show up under Bluetooth Radios, along with new Network adapters. Installing Microsoft IntelliPoint, it will prompt you to insert the transceiver, click Cancel. Pair the mouse using Bluetooth control panel, and a new device shows up in Device Manager. Update the driver using the same methods you’ve done before, so it’s recognized as Bluetooth HID Device. Enable your Wireless Notebook Presenter and click the presentation mode button. If everything is fine, delete the temporary driver extraction folder. You’re done. Excellent Instuctions and file sets, there are a lot of people having trouble with Bluetooth Headsets and Windows 7 64bit. This works for me. Thanks. How do I add those drivers to your super package? You need to use my drivers to set up the stack part, and your device’s bundled Vista drivers for the dongle part. Check your dongle’s INF files for “…1”, if found, carefully modify all the NTx86…1, NTia64…1, and NTamd64…1 instances into NTx86, NTia64, and NTamd64 in all INFs. Thanks, this is what i need!! But i have a question, i install the driver but in the windows server 08 i can’t use my bluetooth headset. I can’t find the bluetooth audio in “Sound Device“. Can you help me? Thanks!! Due to the fact that Windows Vista doesn’t support Bluetooth headset profile, if you want to use a Bluetooth headset with your adapter, you’ll need to add the headset profile to the default Microsoft stack. Visit my headset blog entry to know more about installing and enabling Bluetooth headset profile in Windows Vista / Windows Server 2008. Works perfectly on my Dell XPS M1530. Thanks a lot. Man, I’m glad I found this page! I just bought a new Insignia NS-BTHDST headset and just couldn’t get it to work under WS08 until I found your download. This is now working beautifully under Windows Server 2008 on a Dell Inspiron 9400 laptop. Any solution, my guess is due to SP2? Windows server 2008 x64 on the ThinkPad x61 Installed successfully!!! i love you ~ thanks a lot! You are the man!!! I usually do not comment on blogs but I just had too this time. Thanks a lot. Unfortunatelly i cannot send or recive files from mobile phones. Can u explain what u did ? “PCI Simple Communications Controller” is a modem. Perhaps you should find its proper driver using Vendor ID / Device ID (PCI\VEN_xxxx&DEV_xxxx) listed for your PCI modem device inside Device Manager \ Device Properties \ Details \ Hardware Ids. Please note some modems (depending on being HSF/HCF/etc.) are not Vista-ready, those cannot be installed on Windows Server 2008 as well. PERFECT!!! That was the perfect fix. I extracted the files to a folder and pointed Windows to it when updating the BlueTooth drivers. Thank you! Thanks for the easy link. Fixed up SBS 08 so mobile phone sync is a breeze now! thx a lot dude!you are sooooo awesome! Thanks, MS should be paying you for this. Windows has determined the driver software for your device is up to date. 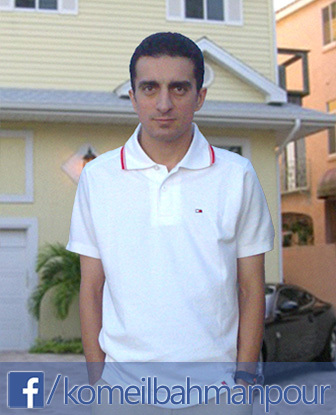 من رو Inspiron 6400 نصب کردم. This was such a headache for a week until I found your article. It took literally 5 minutes to set up my headset with hands-free and A2DP after that on Server 2008 R2 x86 using your instructions here and in your headset-specific article. Thanks so much! Link to files (at least 64-bit) seems to be broken to me… anyone can confirm this ? It could be a temporary server problem. It’s working for me. I found a post on another website that stated the SMK Nano Dongle Bluetooth 4.0 LE +EDR available from Amazon worked just fine on a 2012 R2 server. So I gave it a try and it worked. I was able to pair an Apple Magic Mouse and Apple wireless keyboard to my Win 2012R2 server with no issues. I did need to reboot in order to see the Bluetooth icon in the lower left tray. All I had to do was right click on the Bluetooth icon and select add a device from the context menu and select keyboard/mouse. When you pair the keyboard, be sure to hit the Enter key on the Apple keyboard after you have entered the pairing key. Sorry, the above 2 tips worked for Windows 7 but not for Win Server 2012 2k. For Windows Server 2012 R2 the best I can do to get Ctl + Alt + Del to work is to click on the accessibility icon in the low right of the Legacy Desktop and select the on screen key board From there I can get the logon screen and enter my password with my Apple Key board. Still, I do like using the Apple Keyboard and Magic Mouse.